“We’re in the middle of it. It’s very active,” Parkes revealed, confirming that Will Smith wasn’t a part of their discussions. “It will be reinvented as a trilogy,” MacDonald added. Last we heard about any developments regarding the franchise were talks of the upcoming 23 Jump Street, which would crossover the comedy series with the sci-fi franchise for a film poking fun at the idea of “cinematic universes.” Since then, writer-directors Phil Lord and Chris Miller have signed on for a number of other high profile projects, including the animated Spider-Man movie, The Flash movie, and a Han Solo movie. It’s unclear if that project is still moving forward or how it will interact with a proposed revival of the core series. 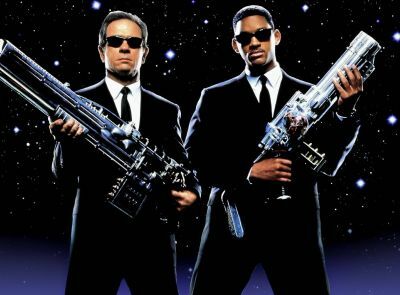 Starring Tommy Lee Jones and Will Smith, the first Men in Black was released in 1997 and went on to gross over $589 million worldwide. A follow-up was released in 2002, bringing in over $440 million worldwide, with a third debuting in theaters in 2012 and raking in over $620 million. Smith and Jones appeared in all three films, which were in turn all directed by Barry Sonnenfeld. The film series was originally based on the comics by Lowell Cunningham.